How I desire you, how I miss you Love, Tilly Devine ! 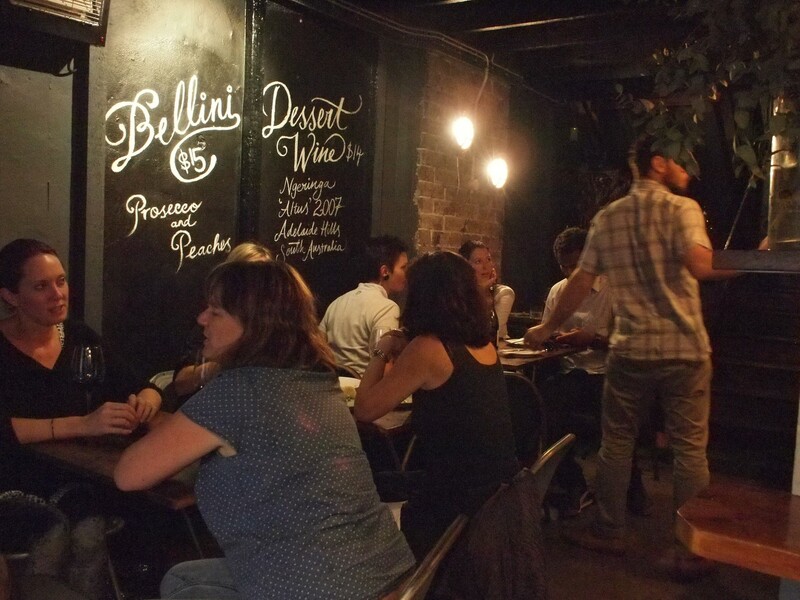 A few months ago at dusk on a warm summer day I walked down a dingy alley in Sydney/Australia and into one of the most astonishing bars on Planet Wine. To be frank that wasn’t such a great surprise, because already the name had told me that one way or another this place was going to be very different: Love, Tilly Devine. The first time I heard it I remember thinking „what the hell is that?“ I was sitting on the back seat of a Sydney taxi next to a sensitive young man who’d just introduced himself as Matt Swieboda, an Australian “somm”, or sommelier. I could get my head around the fact that he was a somm who had worked in some pretty fancy restaurants from his manner – at once civilized and enthusiastic – and from his easy familiarity with the good and great wines of the world. However, there was nothing about him which struck me as being obviously Australian. I have to point out that that I’d felt the same way when I first saw the Mad Max movies, so maybe this was no more than a symptom of my inability to get a grip on contemporary Australia. Either way, right there and then I decided that on my last evening in Sydney I had to visit his wine bar. Now there are two of my very favorite words: wine and bar. And when Matt said them to me in that taxi they conjured up a wild tangle of memories, images and fantasies in all of which light and darkness mingled in just about every way you can possibly imagine. The fact that it is a few years since I danced on a table in a bar doesn’t mean that this seems a remote possibility, any more than the fact that I never picked up a woman in a bar makes that seem like an absurd impossibility. Of course, wine has a hundred thousand meanings for me, but in combination with bar it narrows the field narrows down to a seductive cocktail of warm conviviality, relaxed sinfulness and that deliciously cool jolt of excitement in the moment of unexpected discovery. And that’s exactly what I experienced that evening at Love, Tilly Devine. If only it hadn’t been so brief! That, of course, is a sure sign that it’s true love. 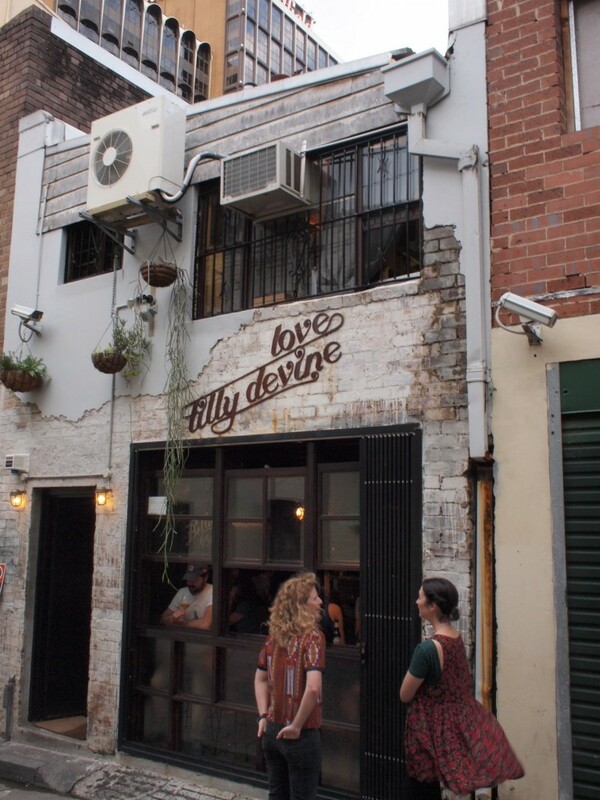 I want Love, Tilly Devine to be around the corner from my home, but I know that there’s no way it can be transplanted to East Berlin and that equally there’s no way I’ll end up living in East Sydney in the near future. So I’m writing this to relive some of the best bar hours I can remember and to soothe my broken heart. Riesling is not only one of the greatest joys of the known world, it is also one of the most maligned and misunderstood. So in the interests of humanity and the patrons of this bar, we present some simple, objective and irrefutable facts on this most refreshing and delicious of beverages. 1. Riesling is the best drink in this bar. 2. Riesling is the best drink in any bar. “We aren’t here to force people out of their comfort zones,” Matt said to me after serving me a bottle of Cooper’s Pale Ale – the first drink I ordered, since I had spent the previous two days tasting Riesling at the Frankland Estate International Riesling Tasting – but then I observed him with a bottle of Riesling from Weingut Gunderloch in Rheinhessen/Germany gently helping a couple of women sitting close to me try something they obviously weren’t familiar with. (And I know they loved it, because they told me so!) The way he performed that act of vinous seduction leaning through the bar’s open front window standing on the pavement outside was a startling little piece of street theater. Why then did he jump ship from the lush 3 Michelin star habitat whose ecosystem he was an integral part to set up what he calls a “sly wine bar”? There wasn’t a moment’s hesitation before he answered “you shouldn’t have to send $200 on a meal in order to drink good wine.” And if you look at my pictures of Love, Tilly Devine then I don’t think you need any help from my feeble words to see how he has created a radical alternative to the “fine dining environment” which anyone not suffering from a fetish for crisp white linen table cloths or addicted to being served by men dressed up as penguins ought to feel at home in. And you know what, the food was totally delicious too. 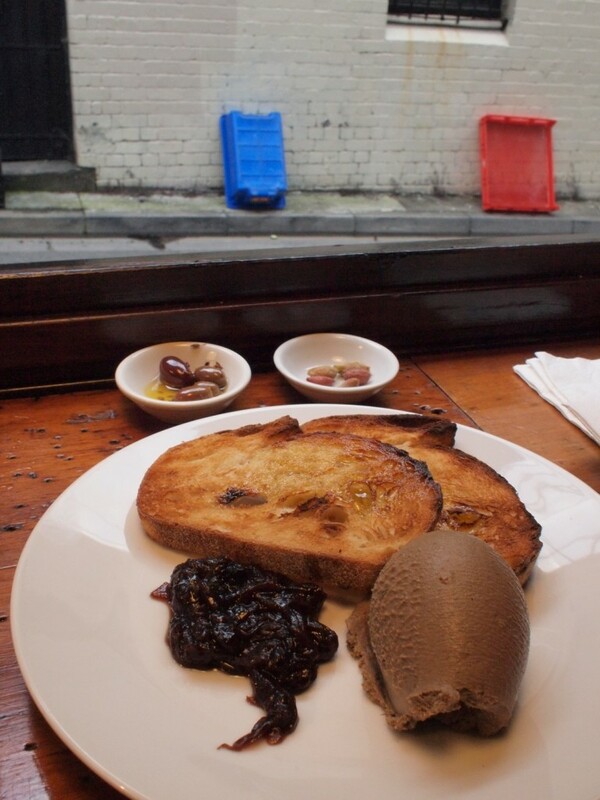 “Liver Paté” sounds humble and rustic, but it was rich ad subtle. The toast served with it swimming in excellent butter. I was hungry and exhausted. It almost instantly revived me. 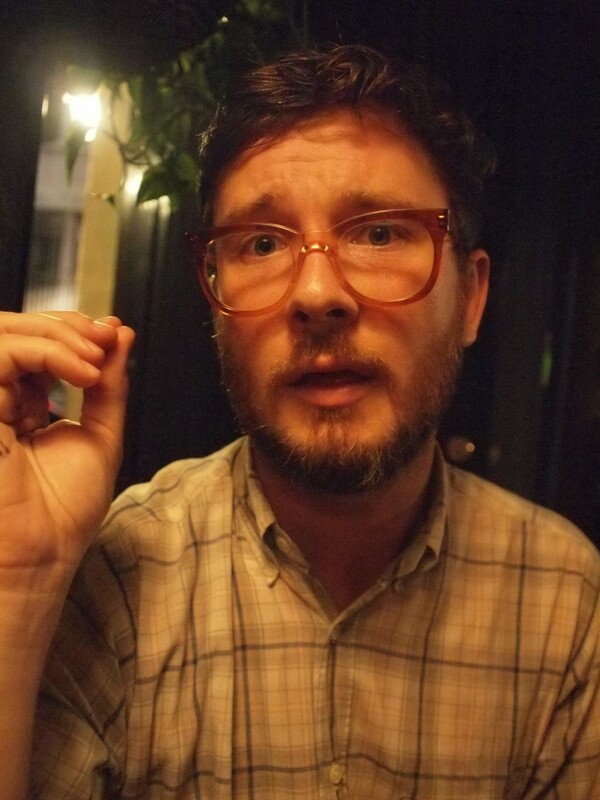 By that point I was deep in conversation with the two women at the next table, but I’d already got talking with other guests sitting around me so it seemed totally normal to be talking to strangers in a strange city. I didn’t try to pick either of them up and I didn’t dance on one of the tables either – at Love, Tilly Devine you have to sit at a table, and there’s no lengthy standing at the bar – but I floated back to my hotel from this Riesling-soaked dive. 10. There are several unconfirmed reports of Rieslings curing the terminally ill.